What should I look for if I am supposed to examine my feet every day? -cracks in the skin - there should no be any cracks in your skin, especially around the heels and in between the toes. If there is an opening, it is best to see your doctor right away. These breaks in skin are potential entryways for bacteria, which can rapidly cause an infection in your foot if not inspected and treated in a timely manner. -areas of redness or swelling- look at your feet in a well-lit area. If one part of your foot or a certain toe looks like it is reddish or pinkish, or it looks like it is more swollen than the others, it is important to make sure there is not an infection brewing in that area. 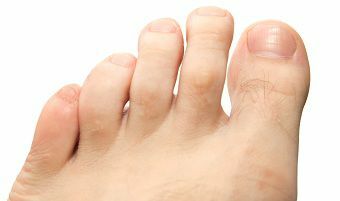 It is important to note this around the edges of the toenails, where this could indicate an ingrown nail. Or, it may simply be an area of increased pressure due to ill fitting shoes or a lack of cushioning in your shoe. Nevertheless, it is important to see your podiatrist right away if there is even any question in your mind. -flaking or thickened skin on the bottom of your feet - flaking, itching skin can indicate athlete's foot or a fungal infection, while areas of thickened skin can indicate increase areas of pressure that need to be pointed out to your doctor. If it is difficult to see the bottom, then ask someone to take a peek or use a mirror. -new lesions/ spots on the skin - if notice a new corn, callus, or even increase area of pigmentation such as a mole or a mark, be sure to see your podiatrist. A new lesion can indicate a new problem or condition, or it may be incidental. but be sure to see your podiatrist to determine if it is in fact anything to worry about. So look out for your foot health and beware of any of these signs. If you have any questions regarding your feet, please do not hesitate to call PPFAC. Our doctors will do a thorough exam and have your diagnosis and treatment plan in place to prevent anything further happening with your feet.